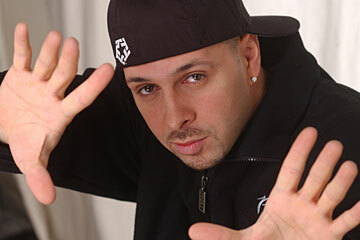 Tony Touch grew up in New York City and has produced more than 200 mixtapes during his DJ career. He spins Wednesday at Zanzabar Nightclub. Once again, the end of football season marks an annual migration of NFL players and their families to Honolulu for next week's Pro Bowl at Aloha Stadium. And with the players come the parties to celebrate another year of hard work on the gridiron. Celebrity hosts and world-famous performers are the norm, thanks to promoters like Hot Lava Entertainment. The 2007 Pro Bowl week parties begin on Wednesday, with a special guest set by DJ Tony Touch during the "Fifth Annual All-Star Pro VIP Kickoff Party" at Zanzabar Nightclub. TOUCH WAS born and raised in New York City during hip-hop's golden era in the late '70s and early '80s, and has more than 20 years of experience on the turntables. He began to make a name for himself in the early '90s with mixtapes, most notably his "50 MC's" series which brought together some of the biggest rappers of the day. KRS-One, Big Daddy Kane and Mos Def were among the artists chosen to be part of the project. "That's how I was able to come up in the game," Touch said earlier this week via telephone from Greece. "A lot of doors were opened up for me because of the mixtapes." After garnering awards and an unmeasureable amount of street cred for his early work, Touch began to move closer to the mainstream with his 2000 album, "The Piece Maker." He also tapped into his Puerto Rican roots and got behind the reggaeton genre, releasing "The Last of the Pro-Ricans" in 2002 and "The ReggaeTony Album" in 2005. "I'm trying to represent the Spanish hip-hop stuff," said Touch. "I'm also doing ... a follow-up to 'ReggaeTony' in May." BUT BETWEEN his major label releases, Touch continues to support mixtapes as a crucial tool in breaking new music. Just don't think he's making any money off them. "It's a real sensitive subject, man," he said when asked about Atlanta-based DJ Drama, who was recently arrested on suspicion of pirating music after selling mixtapes online to fans and distributing them to various retail outlets. "It's a catch-22 man, so at this point in the game I'm out on the road just giving them away." While studio releases contain music that is properly licensed and distributed by record labels, mixtapes often feature tracks that haven't been officially released. Sometimes there are samples of other songs used that haven't been properly endorsed by the original artist. "So many record labels out there are using DJs for mixtapes," said Touch. "Sometimes I don't get it either ... it's a shame it went down like that (for DJ Drama)." HOT LAVA will keep the party going throughout Pro Bowl weekend, with DJ Green Lantern making an appearance at Fashion 45 on Thursday. DJ Clue will be in town for a guest set at Pipeline Cafe next Saturday.